Great, now we can’t even get hammered and enjoy a good ‘Moons Over My Hammy’ at 2am without being reminded of President Obama. President Obama’s election victory ensured his Affordable Care Act would remain the centerpiece of his first term in power – but that has left some business owners baulking at the extra cost Obamcare will bring. 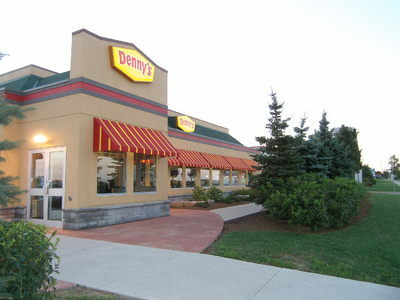 Florida based restaurant boss John Metz, who runs approximately 40 Denny’s and owns the Hurricane Grill & Wings franchise has decided to offset that by adding a five percent surcharge to customers’ bills and will reduce his employees’ hours. We’ve discussed several other restaurant or retail chains having to make similar cuts to their employees work hours due to the penalties involved in Obamacare’s complexities. Beyond the complete elimination of a significant number of American jobs is another looming problem created by the health care law – a shift from full-time to part-time workers. According to the Orlando Sentinel, Darden Restaurants, a casual dining chain best known for their Red Lobster, Olive Garden and LongHorn Steakhouse restaurants, is “experimenting with limiting the hours of some of its workers to avoid health care requirements under the Affordable Care Act when they take effect in 2014”. The American retailer in Cincinnati, Ohio recently was reported to be planning a significant slashing of their hourly workers. Next post State Exchanges - Is This Our Last Hope Against Obamacare?